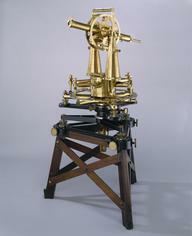 Pocket box sextant, made by Negretti and Zambra, Fleet Street, City of London, England, 1850-1880. 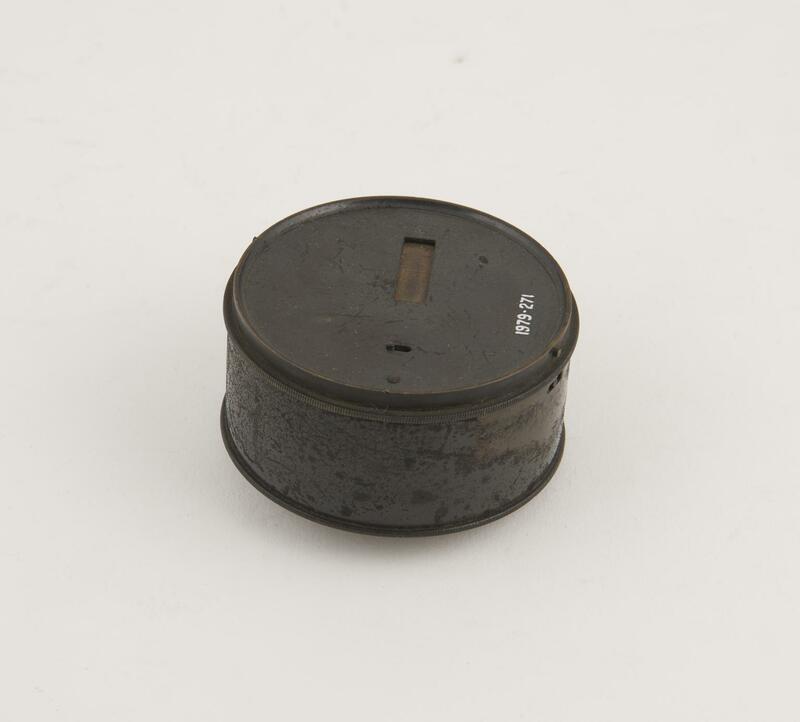 Consists of two circular lacquered brass plates with lid that acts as a handle when used (contains paper table of natural tangents to a base of 100). Fitted with Inlaid silver 131° scale (-5° to 165°) with 30' divisions and a silver vernier (1' div.). 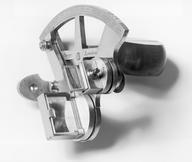 The index arm is rotated by a milled knob on the upper plate with two filter shades (red & green) operated by lever. The index glass is fixed with adjustment for the horizon glass. Fitted with magnifier (single lens) on hinged 40 mm swivel arm and choice of a large and a small pinhole sight but telescope missing.